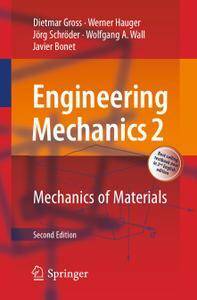 Now in its second English edition, Mechanics of Materials is the second volume of a three-volume textbook series on Engineering Mechanics. It was written with the intention of presenting to engineering students the basic concepts and principles of mechanics in as simple a form as the subject allows. A second objective of this book is to guide the students in their efforts to solve problems in mechanics in a systematic manner. The simple approach to the theory of mechanics allows for the different educational backgrounds of the students. 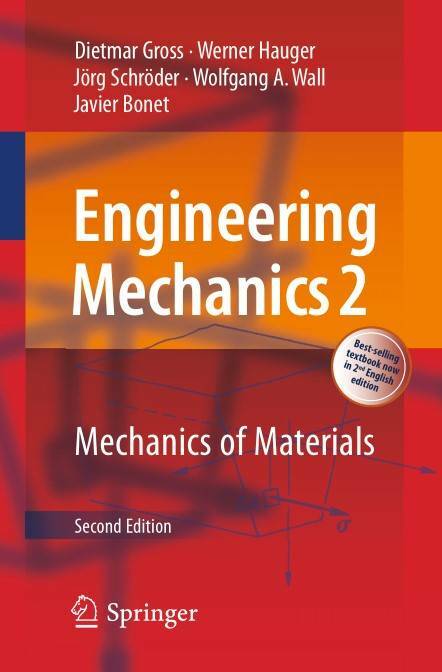 Another aim of this book is to provide engineering students as well as practising engineers with a basis to help them bridge the gaps between undergraduate studies, advanced courses on mechanics and practical engineering problems. The book contains numerous examples and their solutions. Emphasis is placed upon student participation in solving the problems. The new edition is fully revised and supplemented by additional examples. The contents of the book correspond to the topics normally covered in courses on basic engineering mechanics at universities and colleges. Volume 1 deals with Statics and Volume 3 treats Particle Dynamics and Rigid Body Dynamics. Separate books with exercises and well elaborated solutions are available.